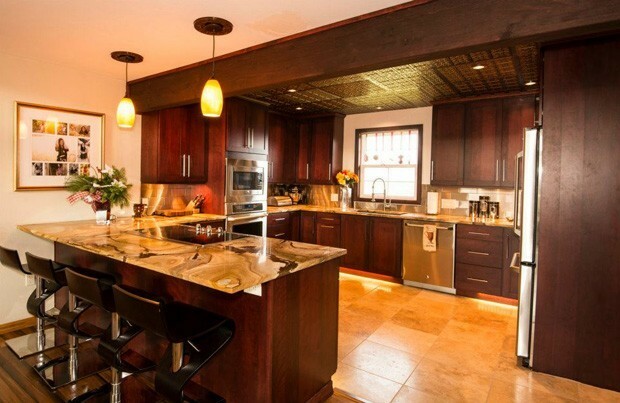 Converting their college-bound daughter's bedroom into their new kitchen was not an easy decision to make... but once it had been decided there was no stopping these homeowners from doing it up right! 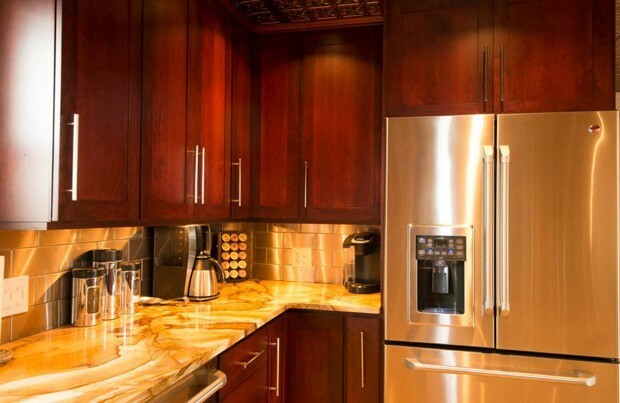 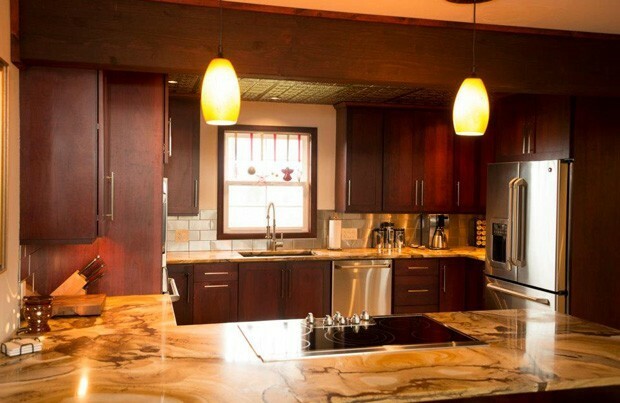 Cherry cabinets with a rich Mahogany stain by DeWils, exotic granite countertops in "Ablaze" (obviously! 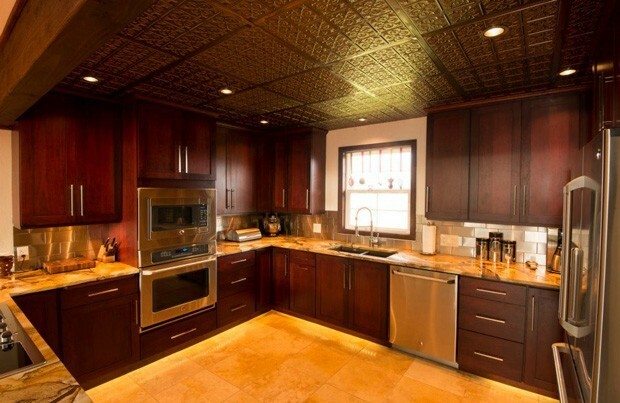 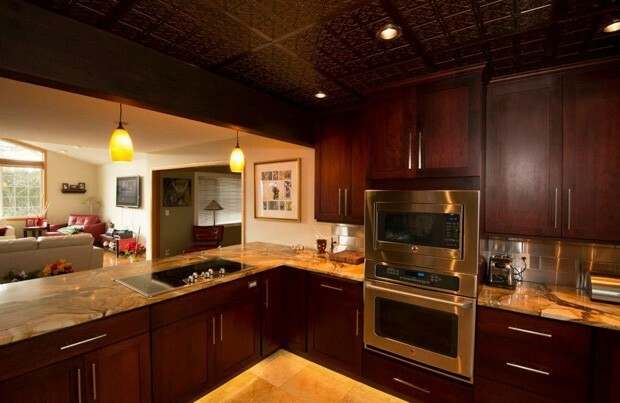 ), stamped tin ceiling panels, stainless steel tile backsplash and lighted toe kick make this a kitchen to remember.